The internet is home to hundreds of millions of users with varying interests, backgrounds, and locations. As a business owner of today, knowing just how to market to your audience is the key to success. However, with the amount of marketing options available out there, it can be confusing to choose which one will work best for your specific area of business. How do you find the right people to sell your brand to in the ocean of users? Fortunately, Google Adwords has made targeting the right audience easier for businesses who want to market online. As a reader of this blog, you’re probably aware of what Google Adwords are already. But for the benefit of those who are still quite new, we’ll provide a brief description of what Adwords is all about. Google Adwords is an advertising tool that allows you to display your ads immediately to an audience of your choice. This is often used by businesses that want to garner instant traffic or are bound to a limited time goals. For starters who aren’t very proficient with the tool yet, outsourcing an Adwords service provider would be the wisest move to make. This is to ensure that you are going to get the best out of your Google Ads campaign and not commit any grave mistake you cannot afford just yet. That, however, doesn’t mean you shouldn’t learn Google Adwords yourself. It’s important to be knowledgeable about the tool so you aren’t clueless about how your marketing efforts are faring and come up with ways to improve it. This also keep you safe from paying more than what you are earning. 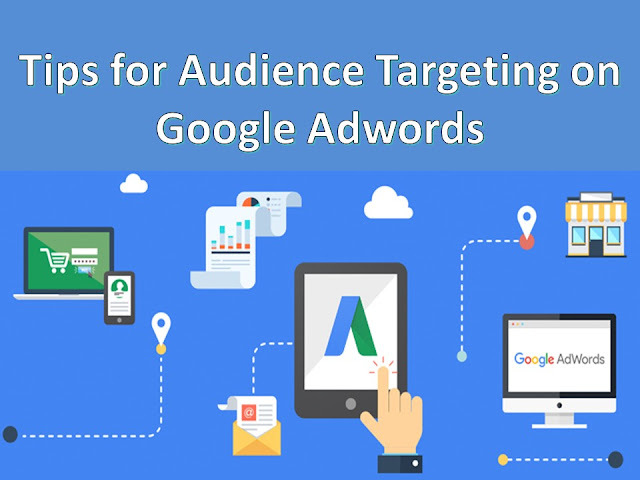 One prominent feature of Google Adwords is its audience targeting. Setting the right options can determine how effective your ads will be. So pay attention to these tips for optimal audience targeting tips! You can’t begin with Google Adwords if you don’t have a clear picture of who your audience is. In order to generate the most exposure and conversions, you have to know which people will be most likely to buy your products or services. Not everyone will be interested in them, after all. Give them a name if you have to. Know their interests and inclinations. What would encourage them to make a purchase? For example, a skin care or makeup brand would most likely target female audiences in a young adult to middle-age group. They would be the ones who are already conscious about their appearance or want to improve them. Their browsing history and the pages they’ve liked are mainly about beauty and health. They also have the sufficient budget to support this hobby or passion. The internet may have made many feats possible, but location still remains to be a difficult factor to deal with, especially for marketing. Go back to your business goals and evaluate. Are you aiming to market to the local market, the global market, or both? Some products or services will be bound by their location. Winter wear, for instance, won’t be patronized by tropical countries because they only have rainy and temperate weather. It would be a waste to include them in your target options. You would have to pay when they see your ads, but they won’t convert, so you aren’t getting any ROI. Days of the week can have a significant influence on the amount of traffic and conversions you can get. Your target audience may be busy on the weekdays and won’t have the time to visit your website, or maybe you’re selling a product or service for weekend hobbies. You don’t see restaurants selling breakfast food at midnight. You don’t see Christmas or Valentines promos in any random time in the year. Appropriate can separate a conversion made from a conversion lost. Let’s face this fact, no matter how much you love something, you’ll get sick of it eventually once you’ve been exposed to it too much. That’s why you don’t eat your favorite food everyday, or wear your favorite shirt, or listen to listen to favorite song. They will inevitably lose their “charm”. And, of course, ads won’t be an exception. Seeing it once or twice may pique their interest and earn you a click. But ten times in a couple of hours will already annoy them. Google Adwords also allows you remarket to users who have already visited your website. You are basically targeting audiences who have already expressed interest in your product or service. You can remarket to those who have visited your homepage once, looked into a specific product on your site, or those have made a purchase in the past. In this way, you can narrow down your audience and increase your chances of earning conversions. Not all your strategies will work out. By examining your data on Google Analytics, you can find out which targeting options or settings work best. If your data tells you it’s ineffective to launch your ads during these time schedules, then that’s what you should do. If it shows that these specific location generates the most conversions, you can start adjusting your focus and budget to gain the most benefit. Simply creating ads and letting them be will be biggest mistake you will make as a digital marketer. Your analytics will be your main guide in improving your future ads. Now you’re all set to your journey to Google Adwords! Don’t forget to put these tips in mind whenever you make a decision with your ads. You can always consult with SEO service provider though. Finally, Google Adwords will constantly be updating their systems and features to improve it. Who knows what it will have in store? So it’s best to keep yourself updated with the trends and changes so your business can adapt well with the ever-changing market. Author Bio: Jessica Madrazo is the Operations Director of Coffeebot, a Philippine-based outsourcing company that offers SEO, social media, lead generation, web design and other general virtual assistant services. She has been in the outsourcing industry for years, and has helped small businesses from different parts of the globe reach their goals.